Scandal: Leaked documents released a few days ago provide juicy insider details of how a fabulously rich businessman has been using his money to influence elections in Europe, underwrite an extremist group, target U.S. citizens who disagreed with him, dictate foreign policy, and try to sway a Supreme Court ruling, among other things. Pretty compelling stuff, right? Not if it involves leftist billionaire George Soros. In this case, the mainstream press couldn’t care less. On Saturday, a group called DC Leaks posted more than 2,500 documents going back to 2008 that it pilfered from Soros’ Open Society Foundations’ servers. Since then, the mainstream media have shown zero interest in this gold mine of information. We couldn’t find a single story on the New York Times, CNN, Washington Post, CBS News or other major news sites that even noted the existence of these leaked documents, let alone reported on what’s in them. Indeed, the only news organization that appears to be diligently sifting through all the documents is the conservative Daily Caller, which as a result has filed a series of eye-opening reports. So what could possibly explain the mainstream media’s disinterest? Is the problem that the material is too boring or inconsequential? Hardly. 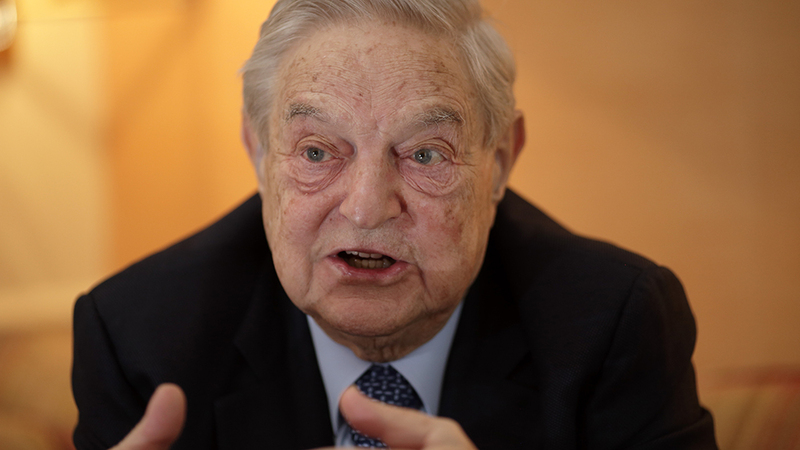 As we noted in this space on Monday, the leaked documents show how Soros’ far-flung international organizations attempted to manipulate Europe’s 2014 elections. The “List of European Elections 2014 Projects” details over 90 Soros efforts he had under way that year. Here at home, they show that Soros proposed paying the Center for American Politics $200,000 to conduct a smear campaign against conservative activists. More recently, an October 2015 document came to light showing that Soros’ Open Society U.S. Programs had donated $650,000 to “invest in technical assistance and support for the groups at the core of the burgeoning #BlackLivesMatter movement.” Since then, several BLM protests have turned violent. That same document details how this group successfully used its “extensive networks” to pressure the Obama administration into increasing the number of refugees it would take to 100,000, despite concerns that Islamic terrorists could use the refugee program to infiltrate the U.S.
A separate memo details how Soros tried to use his clout to sway Supreme Court justices into approving President Obama’s unilateral effort to rewrite immigration law. “Grantees are seeking to influence the Justices (primarily via a sophisticated amicus briefs and media strategy) in hopes of securing a favorable ruling in U.S. v Texas,” the memo, dug up by the Daily Caller, states. Anyone with this much power and influence demands close media scrutiny. Particularly when he has extremely close ties to the would-be next president of the United States. This year alone, Soros has given $7 million to the Clinton-supporting Priorities USA super-PAC, and a total of $25 million to support Democrats and their causes, according to Politico. And when Soros speaks, Clinton listens. A separate email released by WikiLeaks shows Soros giving what read like step-by-step instructions to then-Secretary of State Clinton on how to deal with unrest in Albania in early 2011, including a list of people who should be considered as candidates to become an official mediator sent to that country. Days later, the EU dispatched one of the people on Soros’ list. If Soros were a rock-ribbed conservative who supported Republican candidates and causes, you can bet that a swarm of reporters would right now be lustily tearing into these documents determined to expose any and every shred of evidence of influence peddling and misdeeds. But because Soros is a hard-core leftist, he apparently gets a pass. Shameful. George Soros — The Hillary Democrats’ Billionaire Puppetmaster?